Do you know where the occupants of your building are at any given time? This is a difficult question to answer, but without knowing you can’t utilise your space effectively. Improve your space utilisation and reduce real estate costs with True Occupancy data that can help you understand how your buildings are really used. Discreet ceiling mounted IoT sensors anonymously count people in and out of rooms, zones, floors and buildings. Occupancy data is collected in an AI cloud platform for analysis, reporting and integration with 3rd party systems. Office and real estate costs are a huge burden on businesses, so it is essential that you understand how your building is used and make your building work for you. Measure traffic in and around your facility. 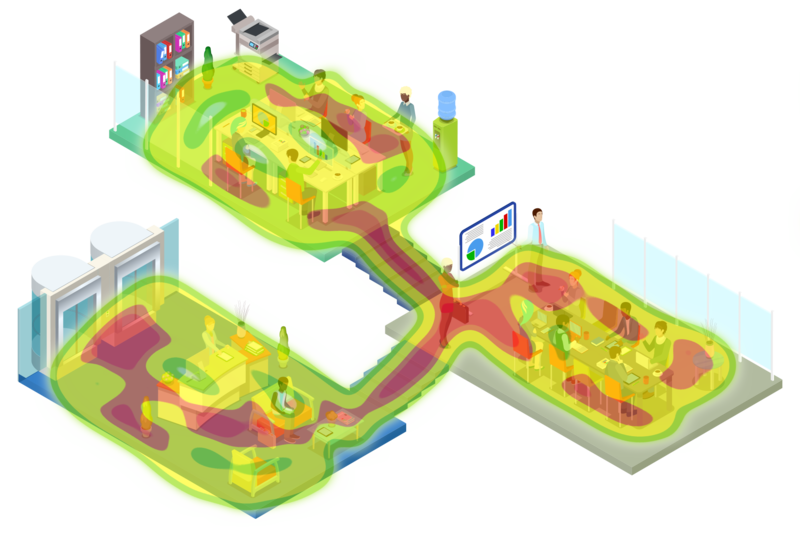 Reduce operating costs by understanding actual occupancy and usage by room, zone, area, floor or building. Deliver real-time information to staff and enable them to easily find space in hot desking and flexible working environment, available meeting rooms or even avoid the queues at on-site gym and restaurants. Monitor meeting room and conference room usage and ensure that they are the right size and you have the right number to meet your business needs. "It's great for helping internal customers understand how their space is being used and provides important feedback to building managers on building usage"